It's a bit non-descript but pleasant enough. 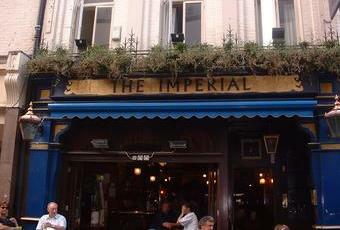 The Tribute was the best pint I had all Christmas. Rather surprised by blue-scrumpy's comments, as I was in there the same week and found it much better than expectations. The Brewdolph was on good form and the staff were attentive, with 3 + landlord Chris covering all needs on what was an obviously a busy night at the start of the 'Once a Year Drinking' season. Definitely one to make a beeline for in the area in future. Pretty bog standard London boozer. It has a little bit of character, but is otherwise unremarkable. The 3 bar staff seemed pretty disinterested in serving and it was difficult to get their attention with people drinking at the bar. I was also short-changed by 3p off the quote price. But it wasn't worth the effort arguing. 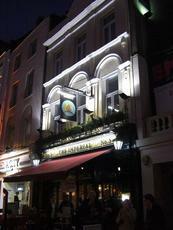 Fullers London Pride, Sharps Doom Bar & Solebay Brewdolph were the 3 ales on offer. The latter was dull and lifeless. Not particularly impressed.